At Rex Gorell Isuzu UTE, our workshop utilises the most up to date equipment and has been purpose built to support the Isuzu UTE maintenance program, which allows you to get the best performance from your Isuzu UTE vehicle. Additionally, while you know your car is in good hands, so are you! Our customers are welcome to enjoy our Rex Gorell Isuzu UTE lounge area with plasma television. So, you can relax and enjoy free tea and coffee while your vehicle is being serviced. If you prefer to be dropped nearby, you can avail yourself of our free courtesy transportation service. We will call you when your vehicle is ready, and come and collect you. That’s a great service. We make our vehicles to last but they do need attention. By keeping an eye on some keys points under your bonnet together with some basic, regular maintenance - you can help keep your Isuzu UTE working well for years to come. 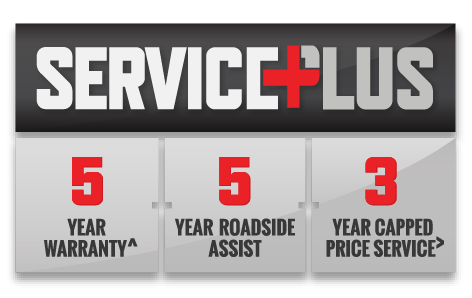 For further information, please contact our friendly Service Team for assistance with any enquiry regarding your Isuzu UTE vehicle. The Rex Gorell Isuzu UTE team wishes you safe and pleasant motoring.